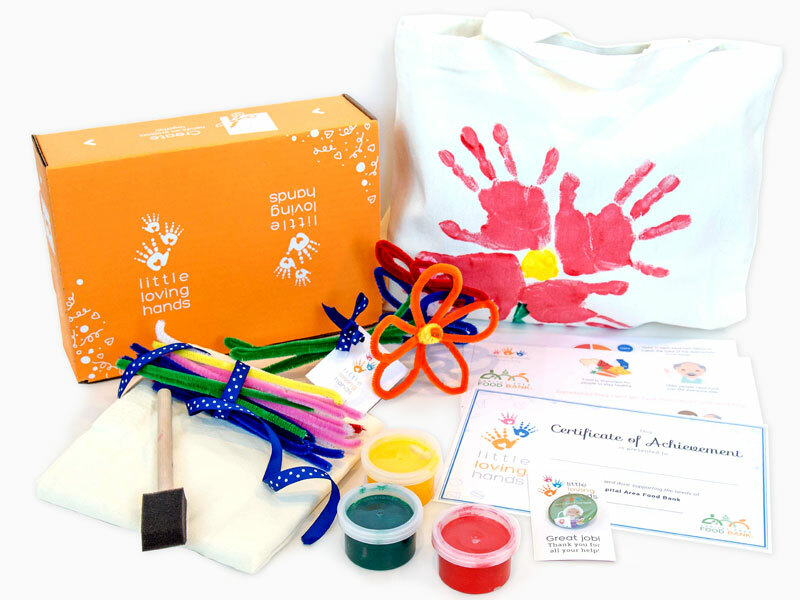 Little Loving Hands is a monthly subscription business that provides kids crafts for a cause. Every month we spotlight a different charity and send out kits that include all the materials needed for a child to create a craft that is SENT BACK using a pre-paid envelope and handed out to those in need. There are many kid subscription boxes out there, but none like ours that focuses on charitable giving and teaching kids how, why, and who they can help. Only 20% of 10,000 kids in a recent Harvard survey noted that their parents talked to them about being kind. As a mother of two young children, I wanted to teach them early on about appreciating how blessed they are and the importance of helping others. Unfortunately, when I was in search of ways for them to be involved in charitable giving, there were limited opportunities due to their age. I knew there had to be a better way so I developed Little Loving Hands which allows children to have direct, hands-on impact to helping others and learning about who, why, and how they are helping. I started by reaching out to charities and figuring out what they needed. Then I put together the supplies and supporting materials. I started with inviting friend and family. Later I extended to others in our town. From there, I launched a website to allow our service and kits to be available nationally. Tell us about one action you took that has helped your business to grow. I worked very closely to influencers who could help share our mission and services with their followers. This included many mommy bloggers and local media. This helped generate word of mouth which grew our customer base. Name three tools (e.g., evernote) – free or paid – that are vital to your business. -ShipStation and ShippingEasy: These are two different online software systems that helps with our monthly shipments of the kits to the customer and the return packages back to the charities. -Google Enterprise: We heavily use the mail system and other applications that they have to offer for the management of our day-to-day information. Our greatest challenge has been reaching our potential customers with a limited budget. Consumer marketing can be challenging, but if you are able to connect with those who already have those relationships, it helps. We were able to overcome our challenge (though we’re still working on it) through connecting with mommy bloggers and local media that parents turn to for input and recommendations. Share your greatest business success. The greatest success is to see the impact we are making with the kids nationwide—both the children that are making the crafts as well as those that are being supported by the charities and receiving the items. It’s amazing to be a part of connecting children with the idea of charitable giving and helping them understand the importance of kindness and empathy. Our ultimate goal is to continue to grow our business to a brand that is associated with being the leader in providing services and products to help create a kinder world. We would like to be financially successful so that we can make an even larger impact with giving back to others in need. How do you balance your job, business and family life? Lots of coffee and focus on extreme time management skills. I make sure to understand the tasks on hand for all of them and prioritize accordingly. What advice would you give to someone just starting their side hustle? You need to be passionate about what you are doing. It takes a lot of work, but is so rewarding if it is around something you truly believe in.